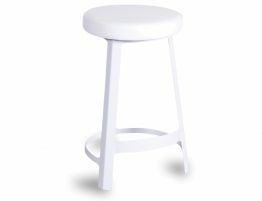 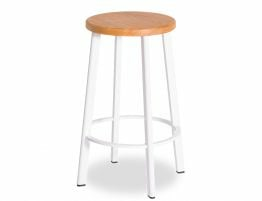 Constructed from stainless steel that has been factory powder coated white with a soft, plush upholstered seat, our Cappa Bar Stool is as sturdy and comfortable as it is visually pleasing. 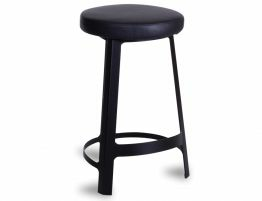 A restrained, modern design, this modern barstool is a must have piece for your interiors. 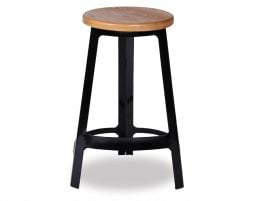 The reproduction Sean Dix design bar stools offer the standard tripod form that is punctuated with a certain asymmetry in the foot rests of the steel frame and has a look that suggests an industrial sensibility, softened with the addition of a soft padded white leatherette seat. 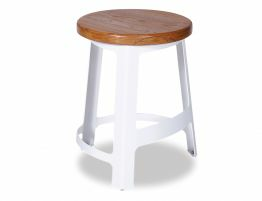 At Relax House, this style is also available in black. 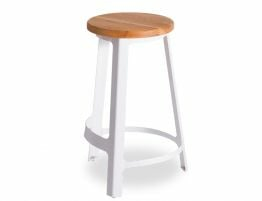 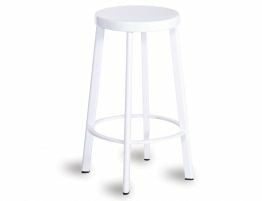 Ideal for your contemporary kitchen bar or cafe, the Cappa Bar Stools - White Padded Seat are a wonderful way to modernize your decor and add a recognisable designer piece to your kitchen counter or bar.